Posted on April 22nd 2009 at 9:05 pm by Rich. What a thoroughly excellent article, Richard! Thanks so much for sharing your numbers – it means a lot to a fellow small developer. Being from Aardman, you must know that stop motion is crazy-expensive. 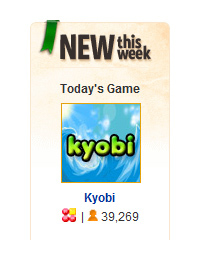 When i look at your sales numbers for the Flash version of Kyobi, they’re quite disappointing. 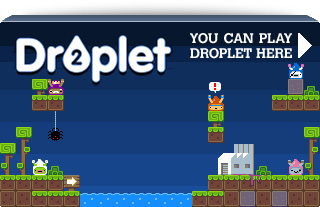 If i went free-to-play with Kahoots, i wouldn’t even begin to touch the development costs with sponsorships. That’s why i’d quite like to wrap Kahoots as an executable and distribute it as a try-and-buy game. Before i read your article, i thought try-and-buy was the only payment model that BigFish used. Did you consider the try-and-buy model for Kyobi? Excellent article mate, this is going to become a real reference piece for FGL. I’m not a huge fan of people quoting what they actually earn, but I think this is the first time I’ve seen it done so subtly ( As opposed to the usual “Look look, I’ve made a $1000, I’m the king of the world” ). Finally, the great Kyobi post-release article! Epic points to remember on ANY game. 1. for Flash Games, don’t be too unique! 2. for Iphone games, don’t get crazy on the scope of your projects. Squize – i’m a BIG fan of people quoting their numbers, particularly small devs. One great reason is that here in Canada, there are a few grants that devs can apply for, but your application has to be well-researched. One of the things you have to do is to reasonably predict sales figures for your game. If devs didn’t share their numbers, we’d all be flying blind … and we’d be accused of not doing enough market research. i actually think i’ll use Richard’s numbers as a case *against* the free-to-play model. That kind of cash may be a perk for a hobbyist, but you can’t build a business – or a lifestyle – on it. 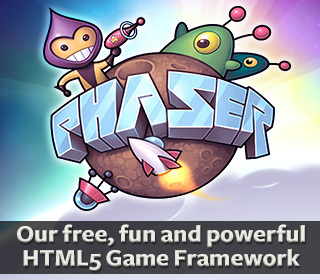 Ryan – Having looked at the shots of your game and read the blog entry I’d say you are well beyond the level at which most “free to play” Flash games are aimed at. There is a natural division of quality in the casual market, just as in any other, and the amount of work and time that must have gone into your game would never be repaid through traditional sponsorship / seeding / ad deals. At Aardman I spend most my days working on game development surrounding our IP and 3rd parties. As you can appreciate the figures for this level of work are well beyond those I post about here. We wouldn’t even consider starting a project for less than £10,000. And one with actual claymation in? Well let’s just say that would be extremely rare indeed! (you of all people understand the costs involved there). So I would seriously consider the more traditional routes to market. Wrap it and find a publisher. Combine it with the iPhone release for a double-whammy (a decent publisher could help massively here), and of course if you made the game in Flash then release a taster version out there for free to play. If that version itself is good enough it could bring in a few thousand extra for precious little work. I could never live off the money I make selling casual Flash games. If I was to do it full-time on my own I would seek out as much contract based work as possible. That is where the real money in Flash is. @Ryan I understand what you’re saying about the numbers being important, but it’s like a fat man stripping, it should be done behind closed doors imho. Also you get into the grey area of price fixing and possibly an inflated cost ( As an example, people have asked me my day rate before and when I’ve told them they’ve been like “Cool, I’ll charge the same then”. So if someone without my track record is charging what I am and earning it, then maybe I should look to bump my rate up, and so on ). You can argue that as a developer pushing rates ever upward is a good thing, but if done in too small a time scale then it can lead to an implosion of the market which just hurts high and low earners alike. Plus you get into the situation where money becomes more important than the game, which is already evident in a lot of places ( “How much can I earn from mochi ? Oh, and how do I do a tween” ). Definitely good points, Squize. Counterpoint: we have a situation here in Toronto where at least one very strong developer is grossly devaluing his work and giving away source code gratis. It really helped to know what he was charging, because eventually one of the firms he worked with called me up asking to pay this eggregiously low-ball rate for a game. If i hadn’t been prepared, i think i might have had a stroke. Another example: i’ll be talking to the casual game portals about Kahoots soon. i spoke with a few folks in the know at GDC and asked them what the royalty cut should be. i was figuring i’d get something high, like 70 or 80 percent, because the portals haven’t invested in the game as publishers – they just have to put it on the portal, so it’s completely free money for them. The devs i talked to said i should get about 30%, which was standard. They may have been funning me? i don’t know. But it was good to hear that figure, so that i don’t get into a hopeless stalemate negotiation down the road. When 2DBoy shared the numbers of the cash advance/back royalties from various publishers, i was in heaven. It means a lot to folks like me who haven’t been through it once, and have NO idea what to expect. Hi Rich! Wow, what a timely and helpful article. I’m finishing up my first flash game and while I feel comfortable with the code and art I was really dreading the “how the hell do I get this thing in front of people” phase. Thanks for being so open with your process and experience – great stuff! As always, a great article Rich. Very informative. As you mentioned, I’m finding Flash contract work to be a lot more lucrative and less risky than gambling on selling game licenses. I earn enough to live contracting and the income is reasonably regular. I do plan to get back into making games on the side just for the hell of it though, even if they make little money. It’s just hard to find the motivation to fire up Flash after spending 8 to 10 hours a day on a contract job, sometimes more, like today – 15 hours. Being paid by the hour helps ease the pain of that though. It’s great to hear you’ve had success with Kyobi. Is it your most successful personal release? @Ryan I do totally understand where you’re coming from, we were all there once ( I’ve sold games for tiny amounts, partly through a lack of knowledge, partly to get a foot in the door ( Which more often than not is a waste of time )). I used to get loads of pm’s on FK.games asking me for pricing advice, and my stock answer is to bounce back to the prospective client. They have a better concept of it’s worth than you ( For the first game anyway ), so I’d always do the “I’ve got to be honest, this is my first time selling a game. You guys obviously have a budget in mind for it, so make me an offer based on that and we can take it from there”. Everyone has a budget. As to the 30%, I can totally believe that. Distribution is king, which is totally wrong, but that’s the way it is. Game portals receive paid placements for adver-games which at best keeps the price for original content low, at worst it shuts the door completely. Plus we’re in a situation where the portals with the really huge traffic don’t allow you to have your own ads, so in a lot of cases these sites are picking up games for free and just treating it all like shovelware and getting just silly amounts of money in terms of ad revenue. As to your local guy skewing the market for everyone, I’ve been asked to do games for an insulting amount of money before, guess I will in the future too. Some design agencies / clients have no concept of cost or the depth that goes into making a game. If it is actually him alone screwing things, well, I know some bad bad men. Just give me the word and he won’t be open sourcing anything again. Yeah you know what I mean. An excellent article. This is so inspiring! Hopefully within a few years I’ll be as successful as you (as long as the market doesn’t change too much). Totally excellent article. I’d like to second Ryan and thank you for releasing revenue numbers; it’s invaluable to new developers to see the scope of the market like this. Also some great info in the comments!